I remember when LP was a few months old and teething kicked in. I thought how it was the one thing no-one had told us about before having a baby, how awful it was and for us how unexpected it had been. We didn’t know about teething until we were in the middle of it. Even now with Little Man he has teething episodes where his back molars are still coming through and he’ll get bright red cheeks, will chew on anything that will fit in his mouth and will dribble more than I ever thought was possible. 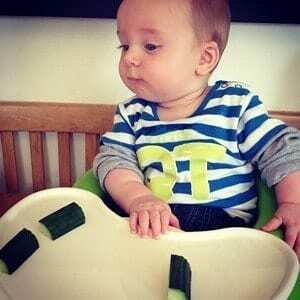 Cucumber – Both our children would chew anything they could find and so once we’d started weaning cucumber was a quick fix on days when the children were teething. Teething/Chewy Toys – Little Man had a lot of toys that he could chew when he was teething as well as a couple that go in the fridge. We still have one now that he uses when teething is at it’s worst. 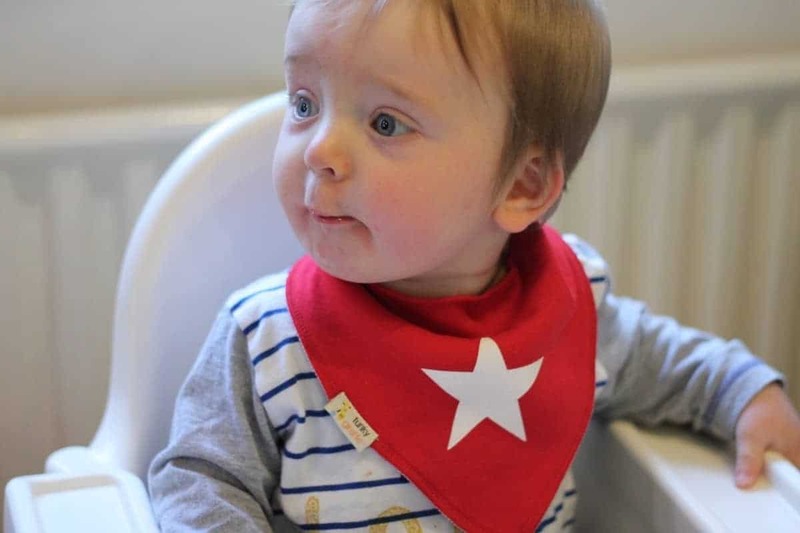 Dribble Bibs – Dribble Bibs are a necessity babies are teething. They’re great for mopping up the dribble but also look great, can match outfits and can be used for wiping mucky faces too. Nursing – Breastfeeding always helped to take LM’s mind off teething and was a great comfort to him. Cold Water – Little Man loved to chew on the silicon top of his drinking cup when it was full of cold water and even now when teething we find that drinking really cold water helps to relieve some of his pain. Distractions – When Little Man’s teething we try to keep him occupied in activities and his mind off the teething as much as possible and this usually means switching from one activity to another quite often. Medicines – If all else fails we resort to an appropriate medicine – Nelsons, the UK’s number 1 teething brand, produce Nelsons Teetha Teething Granules which we have always had to hand since the children started teething. Nelsons Teetha Teething Granules are a homeopathic remedy specially formulated for the soothing and calming relief of the symptoms of teething. It is ready-dosed in a convenient in a granule format that simply dissolves in a baby’s mouth to help provide teething pain relief. It contains a 6c homeopathic potency of natural Chamomilla. Nelsons Teetha Teething Granules costs £5.10 and are available from Boots, Tesco, Sainsbury’s, Asda, Waitrose, Morrison’s and all good pharmacies. If you are concerned about any symptoms that your baby has, during teething or otherwise, then always consult your doctor. We’ve never got to the point of contacting a doctor during teething but there have been times where it has felt like it would never end. Having a teething baby can be one of the saddest times as a parent but doing all you can to try and take their pain away and giving them comfort is about all you can do. It won’t last forever – it only feels like it will! 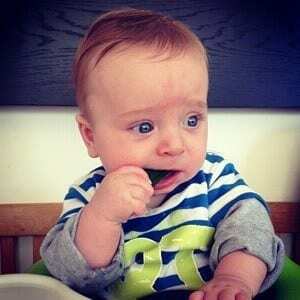 What would be your top tips for teething? Previous Post Royal Caribbean, Anthem of the Seas – A Family Holiday?